Due to its huge popularity, everyone wants to learn AngularJS but it has a steep learning curve because of its concepts like dependency injection, modules, controllers, services, models, 2-way data bindings etc which sound very hard and new for beginners. It is so confusing because of too many technical words used in AngularJS documentation and also in many tutorials which are found online. So I’m writing this post for all beginners who wants a simple tutorial with simple words which can help them get started with the mighty AngularJS. I love to learn by doing so I’ll be sharing examples along with code through out this tutorial. Wait! but many beginners don’t know what exactly AngularJS does and where is it used in real life? – AngularJS helps in building web apps faster (web apps are nothing but web pages with added functionality and user interaction). By the end of this tutorial you will understand how it makes building apps faster and practical situations where AngularJS is used. Let me explain few concepts of Angular in simple words and then we’ll dive into actually using Angular. A controller is just a sub container with additional functionalities. dependencies are objects which are required by a controller, we specify all the dependencies required when creating a controller. 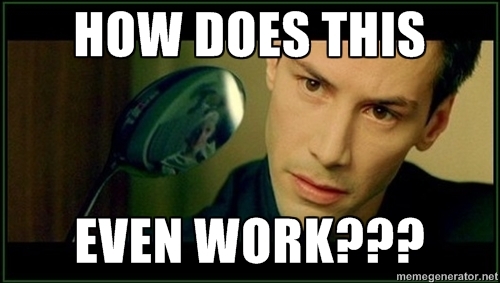 Example : to use $scope in a controller, we specify it as dependency and then use it in controller. This concept would be clear once we start creating a controller in next few steps. A directive is like an add-on for HTML elements. 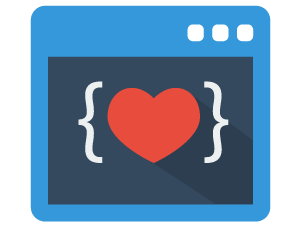 directives provide additional functionality to your HTML elements. There are many Angular directives and each directive has a different use. We’ll be talking about few directives later in this tutorial. Now that we know few basics of AngularJS lets dive into creating an angular app! I’m using codepen.io to write HTML,CSS,JS and see the result live in browser. you can start writing code along with this tutorial as the steps are being explained. go to codepen.io, create a new pen and use this basic html below and then follow next steps. lets create a controller and also use $scope object to store some data lets say app name. we need $scope object so it should be specified as a dependency. we can start AngularJS by specifying the main module using ng-app directive in <html> tag of your HTML file. Also lets add controller to body element using ng-controller directive. ng-controller directive lets a html element access the data in that controller. we are adding contoller to body element so whole body has access to controller’s data. These are the basic steps to create an angular app. Now lets use some data to test if AngularJS is working. Let get into few more concepts like 2 way data binding,filters along with few commonly used directives. If you type your name in the textbox, it instantly updates your name in the next div! Have a look at html. ng-model directive is used to bind value of a textbox,radio button,select dropdown etc. When you type name, angular updates ‘yourname’ variable, ‘yourname’ variable is changed so the div which uses ‘yourname’ variable also changes! AngularJS is a powerful framework which can also control routes and views of an app. you can have multiple routes and assign views to routes using ngRoute module. example : if your app URL is http://myapp.com/ then routes would be http://myapp.com/home, http://myapp.com/profile and content in these routes can also be managed using ngRoute module. In the code above, when URL is myapp.com/home then content from home.html is injected into div with ng-view directive. same with profile and settings, if route is other than specified routes in config function then redirected to /home. home.html, profile.html,settings.html can be uploaded as separate html files, they can also be used as inline templates which is very useful for a single page app and explained in next section of this tutorial. Lets develop a Movie DVD store app using angularJS to apply all the concepts learned in this tutorial. We are going to develop an app which shows a list of movie DVDs, prices of DVDs for purchase and rent. user can select preferred DVD then moves to a confirmation page then a checkout page for payment and finally a thankyou page for showing successful transaction. List of movie names, image URL, price, storyline are stored in a json file for this app. usually apps have a backend storage where all data is stored in a database. As this tutorial is all about AngularJS and not about backend I’ve saved data in JSON and stored in a site called myjson.com which gives a unique URL for each JSON saved from which JSON data can be fetched. 2.Add a controller with following dependencies $scope, $http, $location. $scope is used to store data, $http is used to make HTTP request to fetch json data, $location is used to change routes and URL. Add controller to body using ng-controller directive. We are using only one controller for whole app because this is a simple app and purely for learning purpose. This JSON is an array of objects and each object has movie name,image,buy price,rent price,storyline properties. Ater getting JSON, set it to ‘$scope.movies’. http request may take a second or few seconds to load depending on the server speed and home page is shown blank till the request is complete as we are displaying movies list on homepage, so we should let the user know that data is being loaded using a loading image. $scope.loaded variable is added in DataController as $scope.loaded = false and set to true when data is loaded. so loading image is displayed until data is being loaded and hidden once data is loaded. 4. configuring routes – we have the data, now lets configure routes and add templates with content for each route. This app need 4 routes, one for home with list of movies, one for confirm purchase, one for checkout and one for thankyou page. 5. adding templates – This time we are using inline templates which means templates for each route are present in the same html file. The above code is template for /home route. ng-repeat directive is used to iterate through list of movies in $scope.movies and display movie name, image, buy button with buy price,rent button with rent price. Adding functions : We need functions for buy button, rent button, checkout button in next page and pay button in the final page. These functions are used to set the movie which user wants to buy to ‘selectedMovie’ variable and change route to next page. I’ve added a status variable which tracks whether user wants to buy or rent a movie and a shipping variable which has shipping cost. for simplicity we are using fixed shipping cost for all transactions. 1.we have set selectedMovie variable when user clicks buy or rent, that variable is used now for displaying selected movie name and storyline in lines 4 and 13. 2.we have set status variable to buy or rent when user clicks buy or rent, In line 6 Confirm DVD purchase is displayed when status is buy and Confirm rental purchase is displayed when status is rent, same with the price in line 18. 3.In line 27, total cost is displayed by adding buy price or rent price with shipping cost and dispalyed. checkout() function is binded to checkout button which takes user to checkout page. This app is purely for learning angualrJS and doesn’t include any backend and payment integration. With this we have completed developing a simple store app using angularJS. Appreciate the tutorial, easy and to the point! Thanks! I’ll be posting an article on custom directives soon. Check it out. In your Movie DVD tutorial section, you say to put ng-controller=”MainController” even though it should be “DataController”. Small error, but it can be confusing to readers. Thanks for pointing out, updated now. Hi! nice post, is this angular 1 o 2? Yes you can do that, have separate html files and use their template url in router. I was using codepen which doesn’t allow uploading other files, so I used inline templates. That a nice article Ranjith. Would you please write up a blog comparing the same example on both Angular 1.x and Angular 2 ? That would help a lot of us who are used to Angular 1.x understand Angular 2 . Thanks, I’m still testing out angular 2 . I will write on that soon! Very good tutorial. 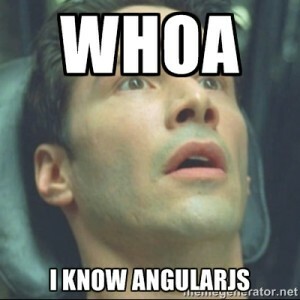 Might be the best tutorial I have read about Angular.js. Thanks a lot. Most of the tutorials about Angular.js are simply too difficult and demanding for a beginner. Your tutorial explains everything in a basic, simple way. I like that. I am just a beginner in Angular.js. As are most people. Your tutorial is simply the best tutorial I have found in the web for the beginners. Thank you very much for making Angular.js accessible for beginners. Glad it helped! Let me know If you want me to write about any other topic. cool, thanks for the introduction! im a novice programmer as well and wasn’t sure how AngularJS fit into the web dev world, but now I understand it’s usefulness! This tutorial is a blessing for novice programmers.Keep up the good work! I always thought that Angular was tough since it is very confusing. Your tutorial have changed my thoughts. I am going to start exploring it more! Nice job. it is really good. could please make a full tutorial with few more projects? Thanks lot. Do you have any article on reactjs like this?